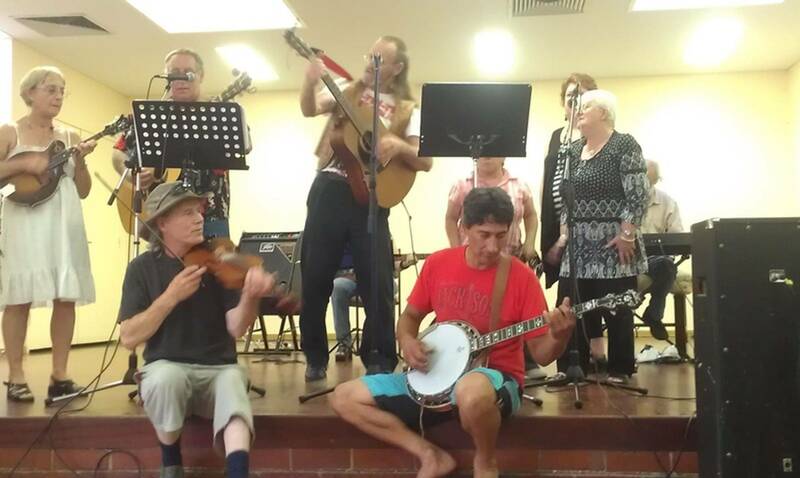 I worked for Banjobrothers Australia for around 7 years building and repairing banjos. I have gained a lot of knowledge about the banjo instrument. 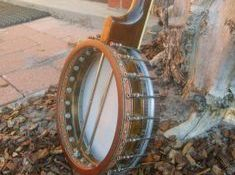 If you are like me you may notice there is very little help or knowledge of how to set up a banjo here in Australia or anywhere to buy banjo parts. I am making my duty to all banjo owners to do my best to help you any way I can. I have many happy customers already with testimonies to share. I make it my point to connect with you to find out what you want your banjo to play like and what music you play so we can try and set your banjo up to sound and play like you want it to. I have different set ups for openback and bluegrass banjos which I will share with you. We all must share our knowledge about the banjo so in the future it becomes common knowledge and not a mystery which it seems to be today. I love making custom parts, rims and necks. The small picture on the right is a banjo made after Tim from Queensland would draw me computer pictures and explain what he wanted. The banjo was once a bluegrass banjo with a plastic rim and now its a piece of banjo art. I can only carry out work in the evenings and some weekends due to having another job to pay the bills. Sorry but there is just not enough banjos in Australia for me to make a living. I am happy to answer any question so don't be shy.